Pittsburgh International Airport is getting a $1.1 billion makeover that includes a new terminal with 51-gates, a modern check-in concourse and a new bag-claim system. 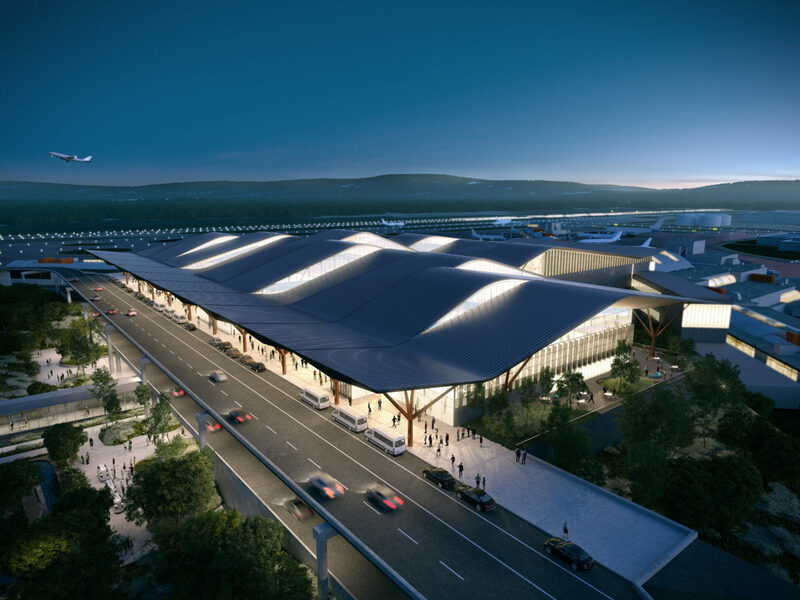 The pictures look so appealing that when the new terminal opens in 2023, they may have to seriously consider trading in the PIT airport code for something, well, prettier. The new airport terminal will be built next to PIT’s current airside facility, between Concourses C and D, and is designed by award-winning architect Luis Vidal, who designed Heathrow Airport’s T2, and by San Francisco-based Gensler. While some things may change as the project gets underway, airport officials say the new terminal building will have an emphasis on sustainability, with both indoor and outdoor green plazas and gathering spaces. The new terminal brings together check-in, ticketing, security and baggage operations into one facility, with a separate level for departing and arriving passengers. There will also be an expanded TSA checkpoint, shorter walking distances and additional space for artwork, concessions and other amenities. Let’s just hope PIT keeps the dinosaur, the Calder mobile, the shrine to Mister Rogers and the other amenities that make PIT a bit quirky and endearing. Alaska Airlines plans to build a new 8,500-square-foot top floor lounge in Terminal 2 at San Francisco International Airport (SFO) . The lounge will offer guests great views of the airport runway activities and of San Francisco Bay. It is expected to open in 2020. To celebrate the announcement, Alaska Airlines is offering flyers traveling through SFO’s Terminal 2 today (February 20, 2019) a chance to win a free Alaska Lounge membership for the entire year. To enter, stop by Gate 54B. Alaska will be offering a demo of the upgraded lounge experience and handing out giveaways. There will also be special appearances by San Francisco Giants mascot Lou Seal and San Jose Sharks mascot S.J. Sharkie. “SFO is our second largest hub with an average of 150,000 passengers flying on a daily basis, and we want to ensure airport visitors can rest, relax and enjoy our wide array of lounge offerings.” said Annabel Chang, Alaska Airlines’ vice president of the Bay Area. In addition to a great view, the new lounge will offer guests complimentary fresh food options, including salads, soups and tapas. The lounge will also offer made-to-order meals available for purchase, including Asparagus and Goat Cheese Omelet with roasted potatoes or a Korean Rice Bowl with steamed vegetables and gochujang sauce. Alaska Airlines is on a mission to upgrade and expand its lounges. The Seattle-based carrier opened its first East Coast lounge in April 2018 at JFK International Airport. A new flagship 15,000-square-foot lounge at Seattle-Tacoma International Airport is expected to open in June. Whether you’re winging your way to a sweetheart or on your way to a boring business meeting on Valentine’s Day, airports and airlines have some treats on tap to sweeten the journey. To accommodate all the lovebirds who want to get married in Las Vegas around Valentine’s Day, the Clark County clerk’s office will once again set up a temporary office February 13-16 in the baggage claim area of Terminal 1 at McCarran International Airport. Couples who fill out a marriage license pre-application online receive a reference number to present (with $77 and proper identification) at the airport pop-up clerk’s office after their flight. From their it’s an easy trip into town for a marriage ceremony presided over by Elvis or some other “only in Vegas” officiator. At Asheville Regional Airport (AVL) in North Carolina, pups from the Paws for Passengers team of therapy pets will staff a “Smooches from Pooches” kissing booth in the terminal and out at by the gates. Travelers can get stop by to get pictures taken with one of the therapy dogs and pick up Valentine’s-themed (people) treats and other giveaways. Austin-Bergstrom International Airport passengers are invited to play Valentine’s Day Plinko and the “Snag A Valentine” game in various spots in the terminal on Valentine’s Day to win cookies and candy prizes. Random passengers seated in gate areas will also be surprised with gifts of heart-shaped box of chocolates or oversized Hershey Kisses. As part of its 1000 Acts of Kindness Campaign, on Valentine’s Day airport food service company HMSHost will set up its “Share Your Love” message board at George Bush Intercontinental Airport (IAH). Travelers may pick up “Act of Kindness” cards with directions for performing “kindness missions” such as giving a rose to an airport employee or buying a coffee or meal for another traveler. HMSHost will provide the item needed (i.e. a rose or a gift voucher) for each traveler to carry out the assigned task. In addition, passengers who add cards to the message board will receive a premium dark chocolate bar and Valentine’s Day card, plus a 15 percent discount offer at participating HMSHost dining locations. Passengers at Fresno Yosemite International Airport in California will receive sweet treats throughout Valentine’s Day and be serenaded by master violinist Patrick Contreras. At Chicago’s O’Hare International Airport, Sarah’s Candies will be sampling Godiva Chocolates between 10 a.m. and 2 p.m. on Valentine’s Day and, at Chicago Midway Airport there will be live entertainment (a Tiny Suitcase Concert), plus free Valentine’s Day cards (“Love From Chicago”) distributed to passengers during the midday. From February 12 to 14, London Heathrow Airport will be celebrating Valentine’s Day with live music, a roving caricaturist to sketch travelers and Valentine’s Day card-making stations in all terminals. Travelers doing last-minute Valentine’s Day shopping will find complimentary treats and special deals on jewelry, gourmet chocolates and other gifts in airport shops in Baltimore, Phoenix, Chicago and elsewhere. At Phoenix Sky Harbor International Airport, for example, several shops will be offering Valentine’s Day samples of “Unreal” Dark Chocolate Peanut Butter Cupsand Tammie Coe Cakes (in Terminal 4 near Gate A25) will be gifting customers heart-shaped versions of its Famous Sugar Cookies with every purchase. 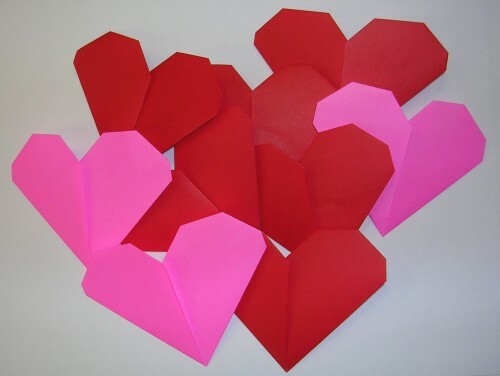 At Savannah/Hilton Head International Airport, staff will be handing out Valentine cards individually signed by airport employees, sweet Valentine treats and a souvenir magnet. As is its tradition, Southwest Airlines, whose stock ticker code is LUV, will serves customers 21 years of age and over one free premium drink (beer, wine, cocktail) during Valentine’s Day flights. Japan’s All Nippon Airways (ANA) plans to give out 150,000 complimentary chocolates to passengers on Valentine’s Day. First and Business Class travelers on America, Europe and India routes will receive “Orangette” chocolate from chocolatier Pierre Hermé Paris, while domestic and international passengers traveling in all classes will receive chocolates from Japan’s Meiji THE Chocolate. And, if you or your traveling companion is named Valentine, WOW air wants to give you a free flight to Iceland from Boston (BOS), Baltimore (BWI), Newark (EWR) or Detroit (DTW). The offer is good on roundtrip bookings for two passengers through February 14 for travel February 10 to 19, 2019. Passengers who mail Wow air post-flight proof of being named Valentine will be eligible for reimbursement of the outbound portion of their flight. Read the terms and conditions carefully before breaking out the champagne. Emirates has stocked its first and business-class lounges with decadent Valentine’s Day treats for travelers and is offering a companion fare sale through February 17 for travel from Februrary 21 through April 14, 2019 from 12 US gateways. And for those who would rather take their sweetheart on a train instead of the plane, look for a special sweetheart deal from Amtrak to post on Valentine’s Day. Here’s a great contender for Airport Amenity of the Week: Philadelphia International Airport has a short story dispenser. Philadelphia International Airport (PHL)’s newest amenity is a Short Story Dispenser. The five-foot tall, screen-less, translucent glass kiosk is now in the airport’s ‘Virtual Library’ (in the D/E Connector) and prints a free fiction story that can be read in one, three or five minutes. To get a story, users press one of three buttons indicating which length of story they prefer and then the machine delivers a story printed on eco-friendly paper. The stories are drawn from a catalog of stories submitted to and edited by Short Édition, a French community publisher that developed the dispenser. Some stories dispensed are short works by classic authors such as Shakespeare and Virginia Woolf, but Short Edition says it has work submitted by 9,000 authors in its database and pay royalities to authors every time their work is accessed in a Short Story Dispenser. PHL is the first US airport to get a Short Edition Story Dispenser, although the machines debuted a year or so ago at Charles de Gaulle airport in Paris and are also installed at Canada’s Edmonton International Airport and about 150 other non-airport locations out in the world. PHL has had a Virtual Library since 2014 that is designed to bring the city’s Free Library’s vast electronic resources to passengers. In addition to the short story dispener, travelers can log on to PHL’s free Wi-Fi to access the Library’s e-books, nearly 1,200 author podcasts, and other digital content. As they have since 2009, on Mother’s Day volunteers at Jacksonville International Airport handed out 1000 carnations to arriving passengers and greeters waiting for their loved ones – especially moms – to arrive. Here are few more snaps shared by the airport. Waiting for other airports to share snaps of the special treats they offered moms as well.